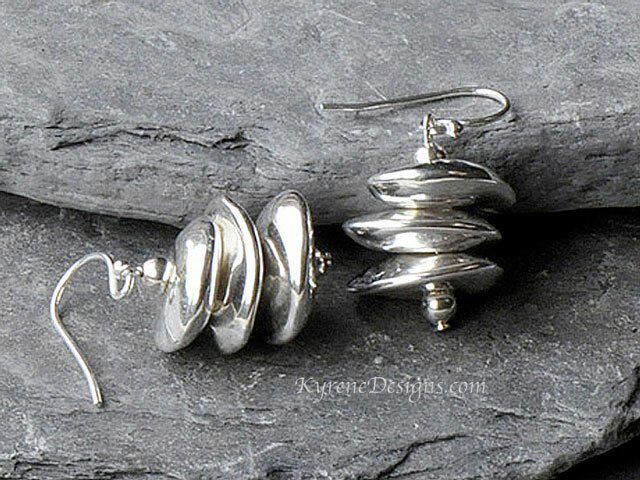 Stylish, beautiful organically shaped earrings on sterling silver hooks. 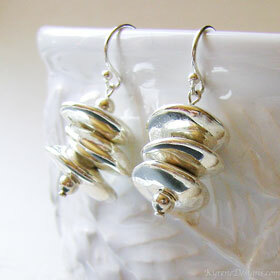 Silver is fused into handmade ceramic beads for durability. Matches any necklace containing these beads, as well as looking stunning on their own. View our materials page It's normal for these beads to not have a totally smooth surface..